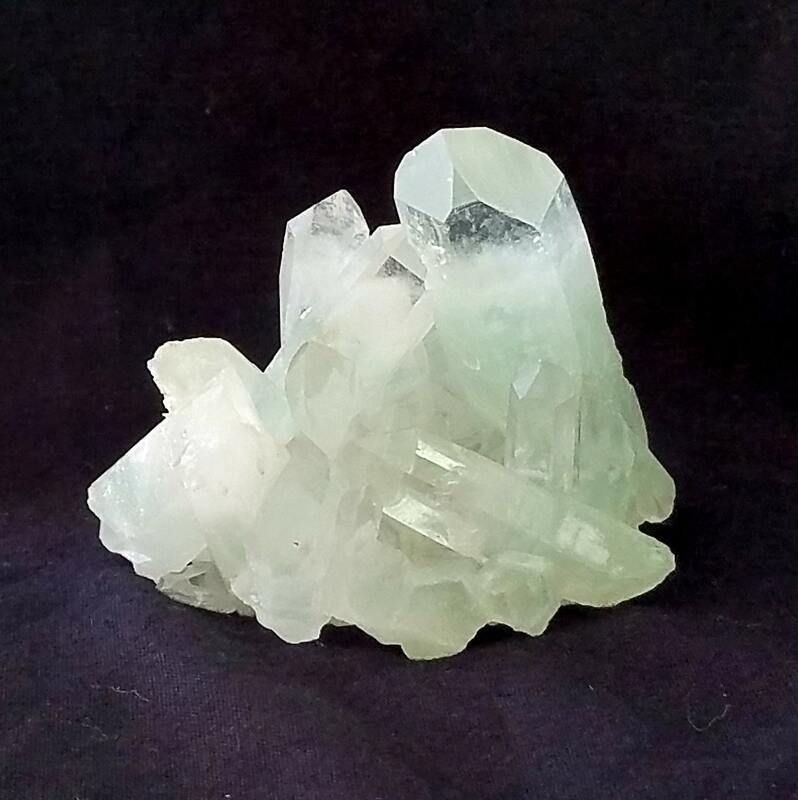 Green Phantom Cluster with Transmitter Crystal 95 gm. 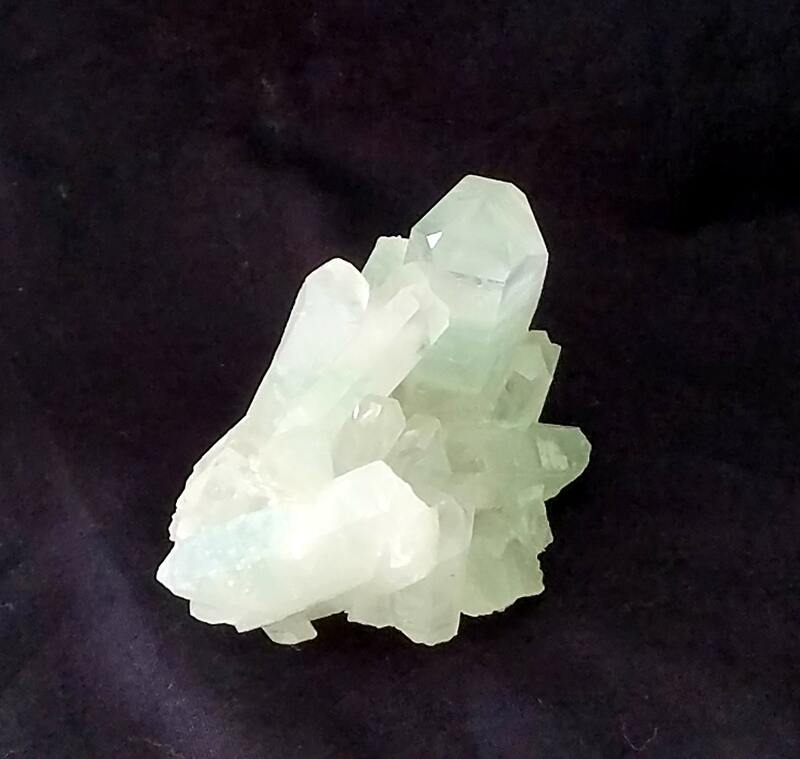 This cluster has a beautiful green phantom crystal which is a Transmitter Crystal. 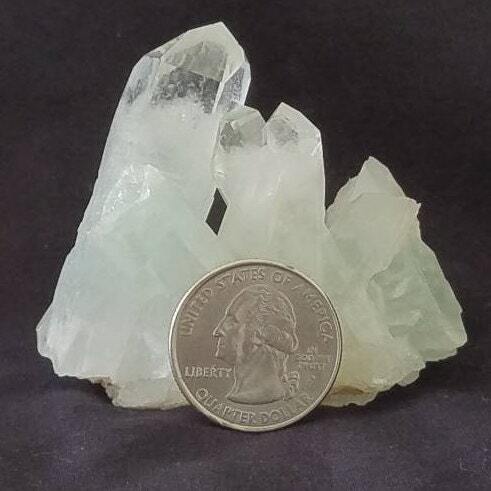 The chlorite deposits in the center of many of the points gives the outstanding green color. 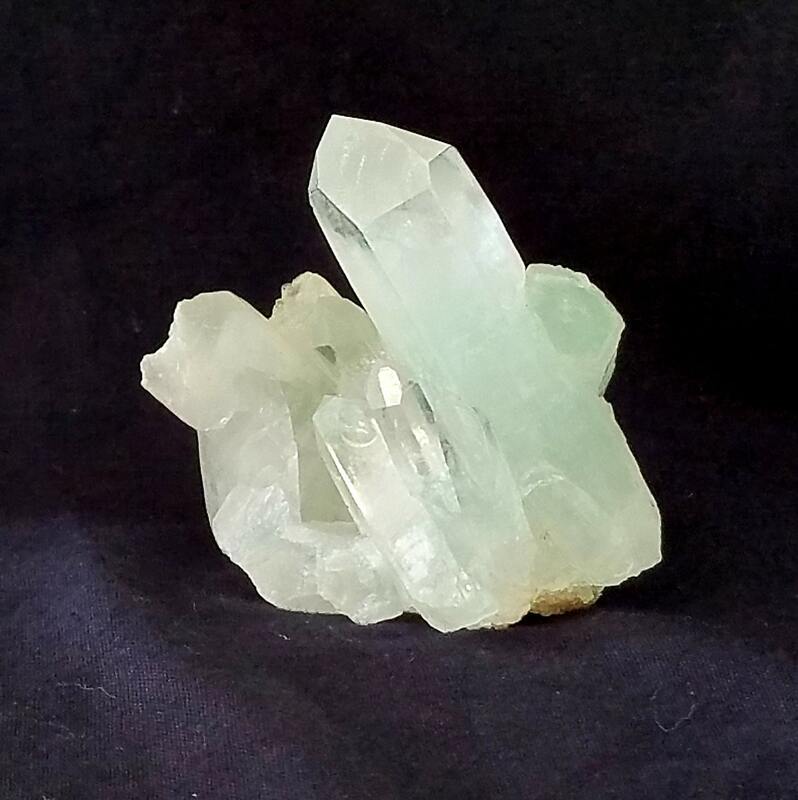 This color is good for strengthening the heart chakra. 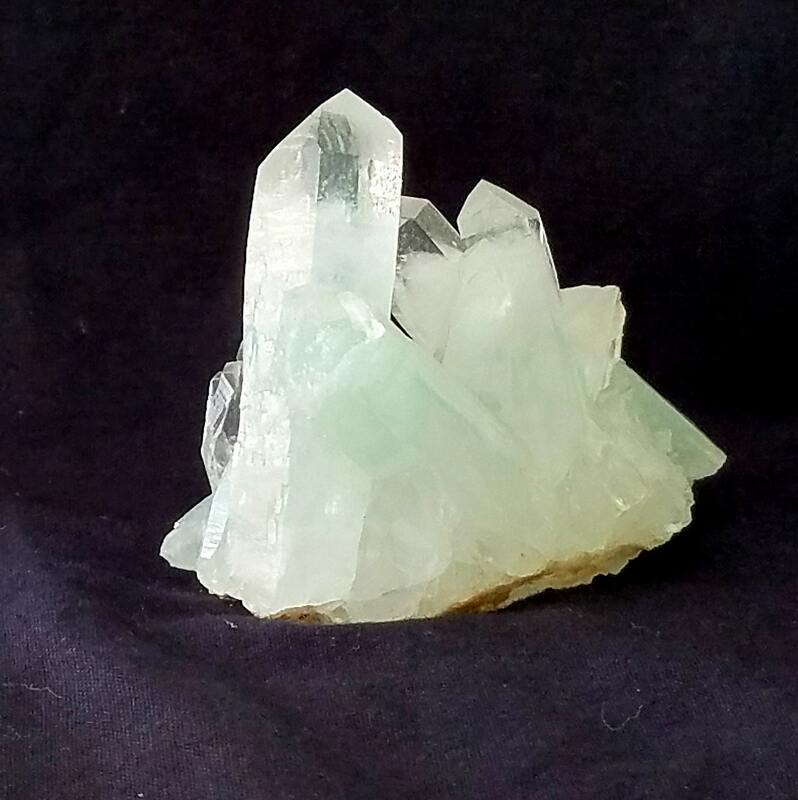 A Transmitter crystal has two seven-sided faces and a triangular face between them which is one form of the 12 Master Crystal types. 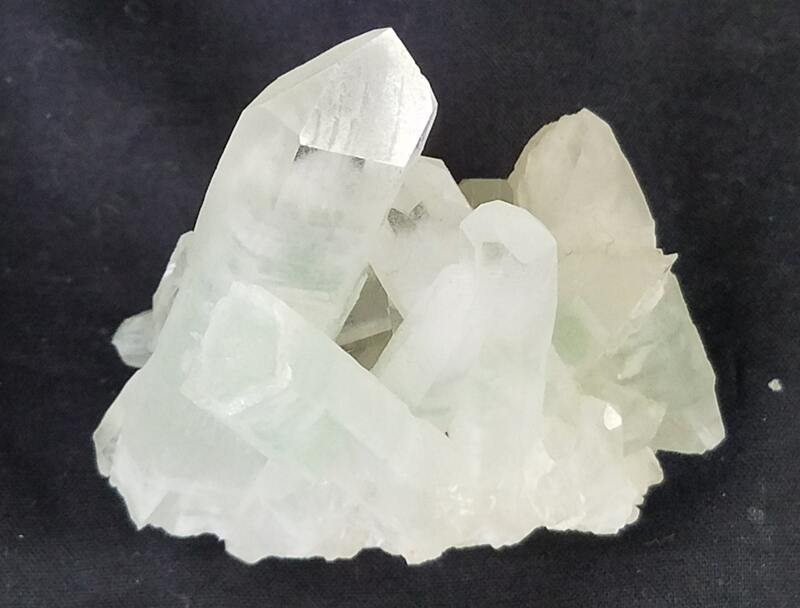 Transmitter crystals are believed to receive and transmit information to other planes of consciousness including spirit guides and your higher self. 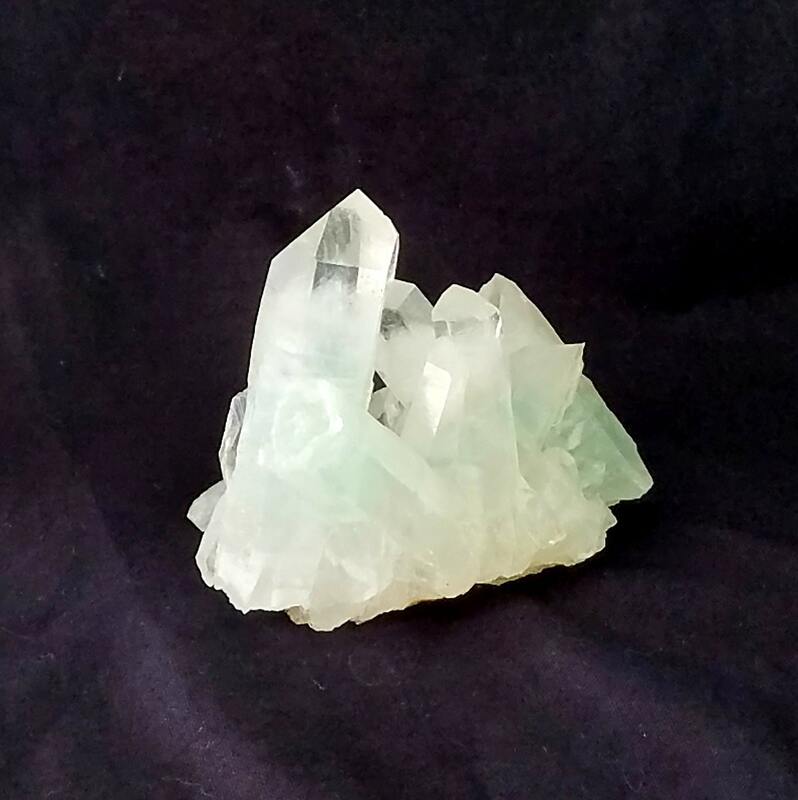 There is a crystal which may have broke off during mining and some slight dings, but that does not take away from the tremendous beauty this cluster holds.